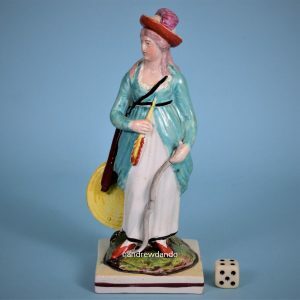 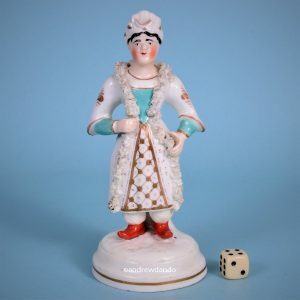 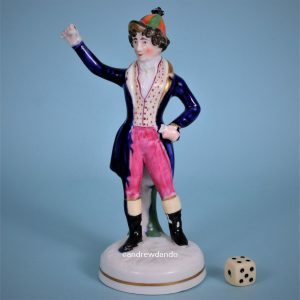 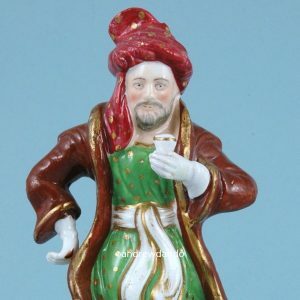 Antique Staffordshire Porcelain Theatrical Figure in Turkish Costume. 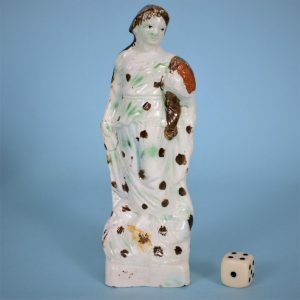 Staffordshire Pottery Figure of a Female Archer. 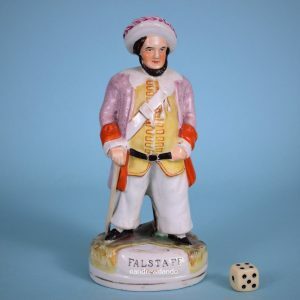 Victorian Staffordshire Theatrical Figure of Sir John Falstaff. 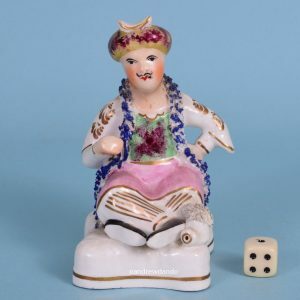 Staffordshire Porcelain Seated Figure of a ‘Turk’. 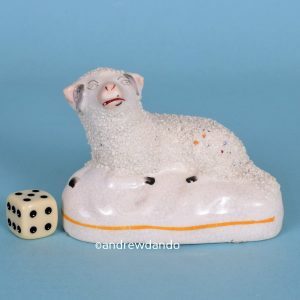 Staffordshire Pottery ‘Lost Sheep’ Figure, Unusual Small Size. 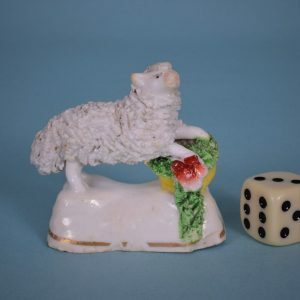 Staffordshire Porcelain Miniature Lamb with a Basket. 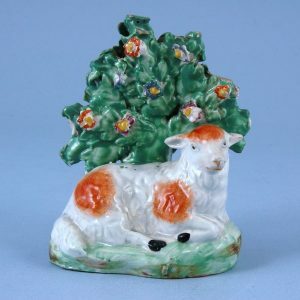 Staffordshire Pottery Sheep with Bocage. 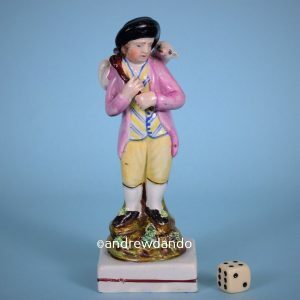 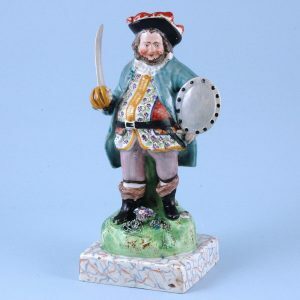 Staffordshire Pottery figure of Falstaff. 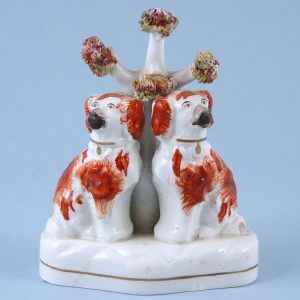 Early Victorian Staffordshire Group of Two Spaniels. 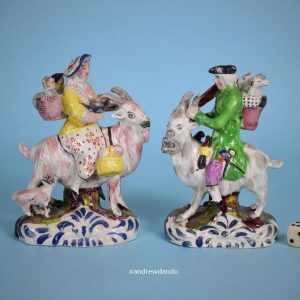 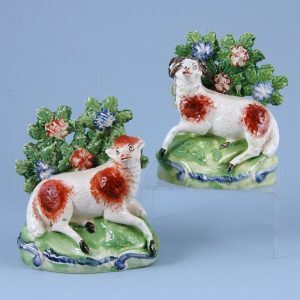 Pair of Staffordshire Models of Ewe & Ram with bocage.